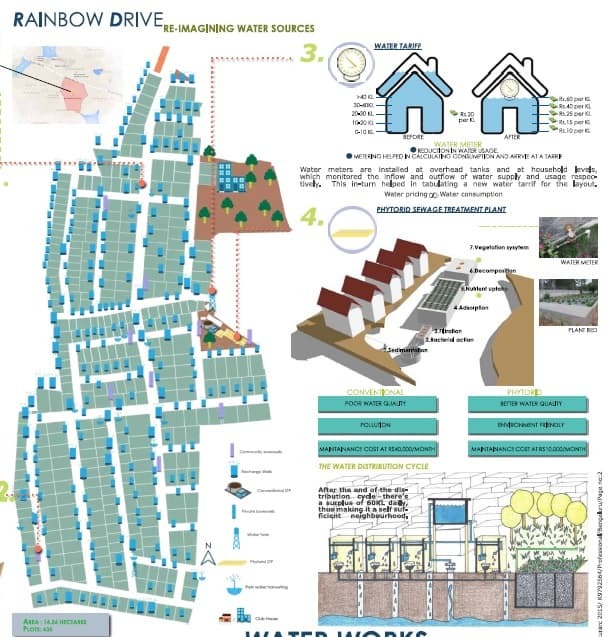 Three communities in southeast Bengaluru – Rainbow Drive, Adarsh Palm Retreat and Renuka School adjacent to Kaikondarahalli Lake, have created individualised water management plans to solve problems like water shortage, reliance on borewells and flooding. 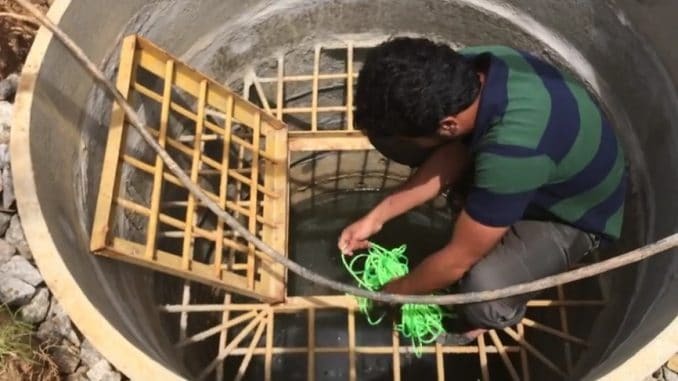 Knowledge and understanding of their groundwater system has allowed these communities to make smarter decisions when it comes to withdrawing groundwater and making the conscious effort to recharge water back into the earth. Biome Environmental Trust, ACWADAM and Mapunity with funding from Wipro Ltd. spent three years researching the water that lies beneath the surface in a research project called Participatory Aquifer Mapping (PAQM). An aquifer, according to Wikipedia, is an underground layer of water-bearing permeable rock, rock fractures or unconsolidated materials (gravel, sand, or silt) from which groundwater can be extracted using a water well. By tagging along with tankers and diggers, collecting data and water samples, attending events, observing wells being built and recording the information of water around the city that have been passed down by generations of Bengalureans the stories of water management began to surface. Combining all of these elements with hydrology, the science of water, a dialogue was initiated between citizens on how to create sustainable water management programs in their own communities. The PAQM project mapped underground aquifers. The team tried to find the exact location of the aquifer, how deep it is and how much water it can hold. The type of rock foundation and porousness of materials determines at what depth the water is collected and how quickly rainwater seeps underground. Collecting information on aquifers makes for smarter decisions on where to dig borewells, how to manage the aquifer levels and where to build open wells that will yield the most water. The project covered eight urban micro-watersheds in the Bellandur Road -Sarjapur Road area of South east Bengaluru spanning about 33 sq km. Instead of depending on external sources of water like in the past, Rainbow Drive, Adarsh Palm Retreat and Renuka School have successfully integrated water management programs to solve water shortage, flooding and unreliable borewells. 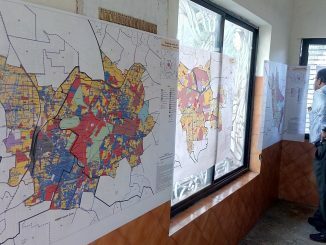 Each individual plan was observed and recorded by the PAQM team to act as a roadmap for future initiatives or possible solutions for other areas of Bengaluru struggling with similar problems. Rainbow Drive (RBD) has fast become a model for water management and has received attention and praise from around the country for their conservation efforts. The community does not have water-yielding borewells, instead the residents have created a well-thought out plan to extract water using wells, and ensured rainwater harvesting, sewage treatment and low individual water usage as well as self-sufficiency. Water management began at Rainbow Drive, when a number of private borewells dug and used for construction purposes reduced the yield of the public borewells most community members relied on. They understand how badly borewells were depleting their water source. Banning borewell digging and installing recharge wells, rainwater harvesting systems, sewage treatment plans and adopting a strategy to use less water, the community is now self-sufficient for its water needs. Adarsh Palm Retreat (APR), a gated community off Outer Ring Road, is digging open wells to withdraw water from shallow aquifers. Currently 25,000 liters of water is provided daily by two wells. The community suffered from basement flooding and water shortages and turned to groundwater mapping; they discovered a shallow aquifer lying 10 meters below the surface, which was the culprit for their basement flooding. Aquifer mapping also identified a deep aquifer and an immediate aquifer under the layout. The community decided to convert the shallow aquifer into a storage tank to be recharged by rainwater. Recharge and withdrawal wells are beginning to spot APR layout, which will direct rainwater into the shallow aquifer to produce a sustainable water source and prevent water from seeping into basements. APR is still working on decreasing water usage within the community and hopefully one day will rely entirely on open wells to sustain their entire community. Without the knowledge of aquifer locations and depths the plan to use open and recharge wells to manage water would never have come about and the basements of this private community would continue to flood. Near Kaikondarahalli Lake there are a number of apartment complexes, homes and a middle school. 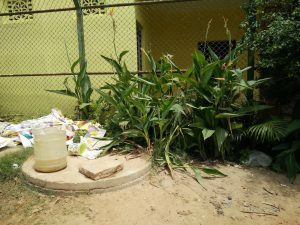 The nearby school has traditionally relied on tankers for water until it was decided to dig an open well on the grounds that now provides 1000 litres of water per day completely supporting the school’s water needs – gardening, wash areas and toilets. The well is recharged from the adjacent lake, water is naturally filtered through a layer of rock and organic soil. This example further spurs the action to rejuvenate lakes, construct wetlands to naturally filter sewage and understand the hydrology of Bengaluru’s lakes for future open well projects. With all this information at researcher’s fingertips, and plenty of successful case studies available to act as roadmaps there is still work to be done to transfer groundwater knowledge to the rest of Bengaluru. The first step is sharing the scientific insights with citizens so everyone can be part of water management. Communities coming together to make decisions, draw up management plans and participate in continuous dialogues then gives everyone a stake in the water supply. The PAQM project team has compiled all of the information on groundwater management and aquifer research into a publicly accessible website urbanwaters.in, launched on 11th August 2017. It explains anything and everything there is to know about water in Bengaluru. Resources in multiple languages, successful stories of case studies and even comic strips are available all in the effort to explain and inspire citizens to take charge of their water supply. The learnings from the PAQM project have proved sustainable water management is possible. Open well water is a viable and inexpensive source of water. Recharge wells are efficient for both shallow aquifer recharge and long-term borewell recharge and helps improve water quality in neighboring wells. 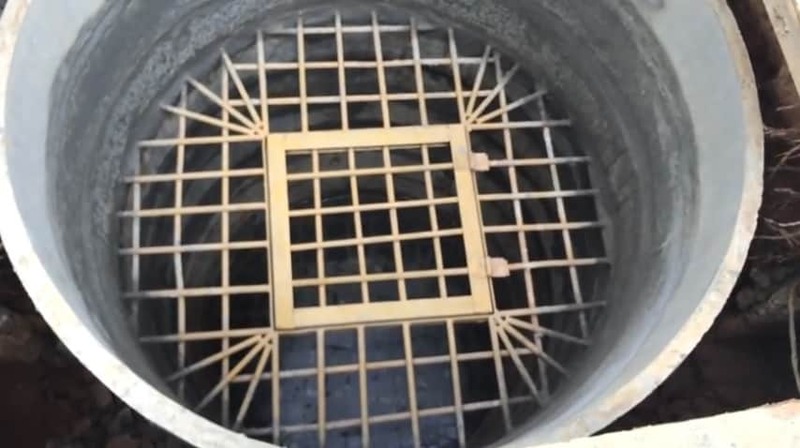 Old, dry wells can be refurbished into recharge structures. Wells near lakes are good sources of water since lake water recharges shallow aquifers. Borewells below 600 ft are not sustainable so better to source water from aquifers above 600ft more often and reserve deep aquifers for emergencies. The cost for treatment of deep borewell water is more than the cost for water from shallow aquifer wells. Full disclosure: Oorvani Foundation supported Biome Trust team in the content development for the website urbanwaters.in. 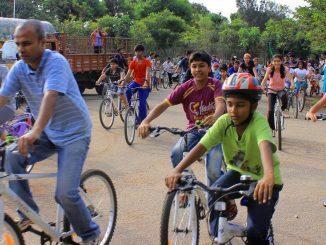 This is your chance to become the face of Bengaluru cyclists globally. Become the Bicycle Mayor! 1000s of water tankers ply in Bengaluru; zero trade licenses. BBMP oblivious! How many private water tankers are operating in Bengaluru? Where are they sourcing the water from? Our findings may shock you but BBMP remains in limbo.